Cameron is NOT going to like this! The Maria Miller affair is not going to go away; it appears to be the trigger point for renewed action on other matters. Remember the “Recall” function we were promised, the one which was eventually mangled out of all recognition, then quietly ditched? Miller has provided us with the perfect example of why it is necessary, and the sheer hypocrisy of politicians only adds to reinforce the demand. How do we equate the Leveson inquiry and its recommendations on regulating the press, (who obviously can’t be allowed to police themselves), with the Miller fiasco, where a Parliamentary committee has overturned the ruling of an independent inquiry to almost exhonorate Miller of any wrongdoing? Are we really saying that because they are MP’s, they can regulate themselves impartially? I don’t think so! The first priority will be damage limitation, for Miller’s actions have exposed a fundamental weakness in the system – the arrogance of those in power! Outrage is what we need here, but use it effectively. How to Hold MP’s Accountable. 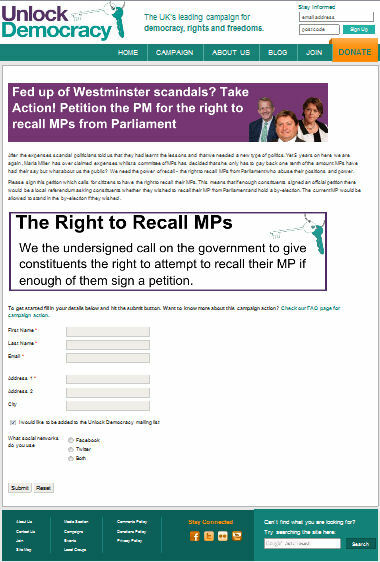 We have to hold Mp’s accountable! Although this applies equally well in a general sense, this post addresses their claims for expenses in particular. I read an article about “Maria Miller ‘to have to repay thousands of pounds and apologise over expenses claims'” in the Telegraph recently. I was really disgusted to find out that this still has not been resolved, although the parliamentary inquiry into her expenses has been going on for more than 1 year. Parliamentary authorities first launched an inquiry into Mrs Miller’s claims more than a year ago following an investigation by The Telegraph. Now I have some questions about that! 1) How much will the parliamentary inquiry cost? 2) Who will have to pay for it? 3) Why did Parliament have to rely on the Telegraph to learn about the problem? 5) The house was sold at a profit of £1,236,000. Was any tax paid? After the expenses scandal that broke in 2009, it seems patently obvious that there are still people in Parliament that have a problem to resist ongoing temptation. I do not mean the ones that stay within the prescribed limits, which are generous enough. I mean the ones that claim for more than their fair share, and hope to get away with it. I think MP’s need help to keep them on the straight and narrow! There is an easy way to give them this help. Each MP has a personal website. We only need to make it a requirement for them to publish their expenses on their website to have it all out in the open. There may well be objections, but in the end it is our money that is being spent. It would then be up to each constituency to hold their MP to account, and keep their fingers out of our till! This would also mean that the Independent Parliamentary Standards Authority (IPSA) had a constantly updated set of figures to work with, which should avoid lengthy inquiries in the future.